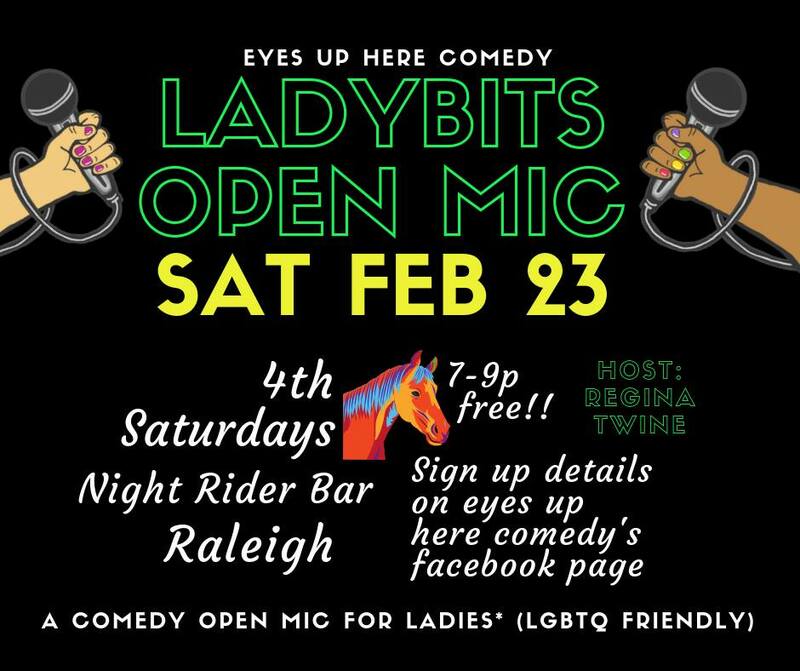 hosted by Regina Twine- Eyes Up Here is excited to give talented female and female identifying comics a chance to work out their LadyBits. Lady Identifying persons should bring a 5 minute set and be ready to show up and go up – bring a crew to laugh with you – it’s gonna be a lot of fun! The Night Rider serves as a safe space for gender queer and gender non-confirming – please interpret Lady as you see fit.